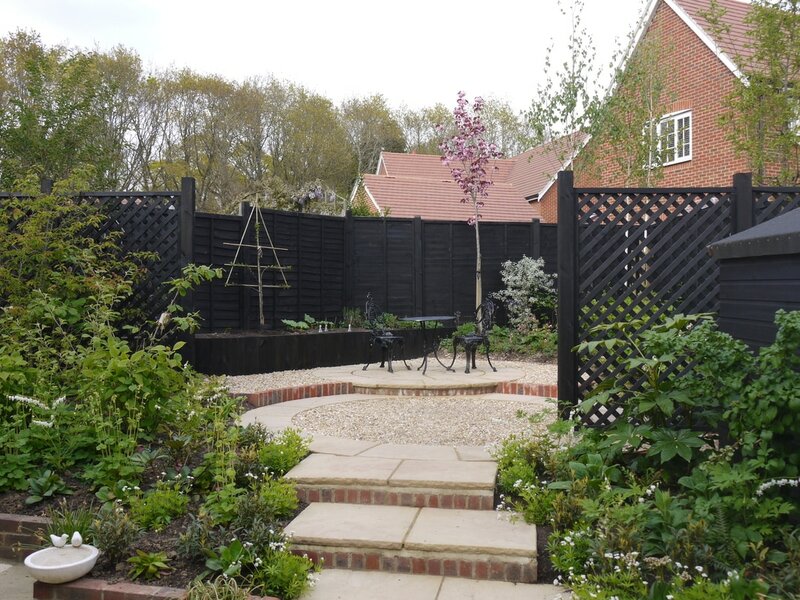 We believe your garden is a real extension of your home and the design of your outside space should be given as much thought and consideration as the design and flow of the space within. It should add value to and complement your home, reflect your personality and meet your and your family’s needs, desires and, of course, your budget. Design Brief: To transform an uninspiring patch of concrete and earth into an informal and cosy family garden in a village setting. It was important to cater for several young children and to encourage them into the garden to play and to nurture an interest in wildlife and growing food to eat. The owner was inspired by the naturalistic planting of William Robinson at Gravetye Manor, and wanted a strong emphasis on foliage, with spring interest launching into summer with a bang. The planting also had to withstand the bumps and knocks of boisterous play! A calm space to relax and entertain was also a key requirement. Almost there... the planting is filling out nicely. 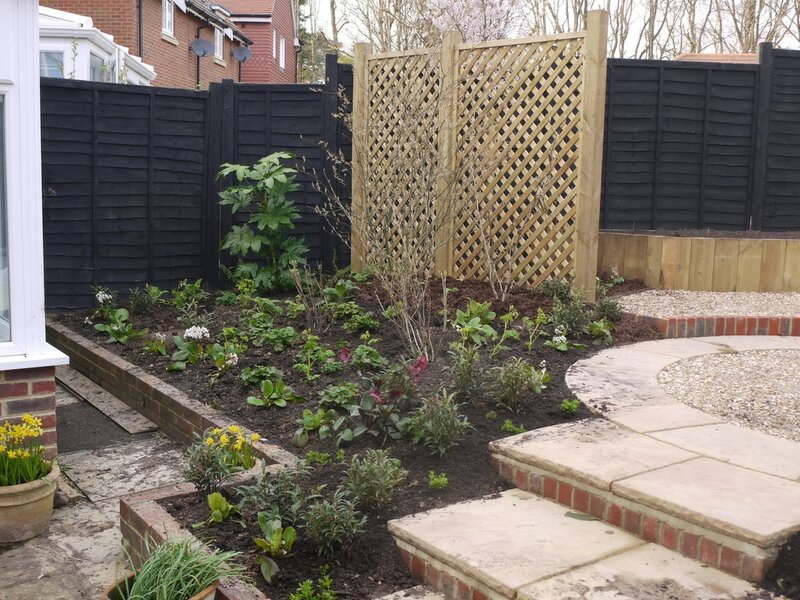 Design Brief: To transform a weedy, sloping and irregular back garden into an inviting, usable space, providing privacy from neighbours and feminine, soft planting with particular interest in winter/early spring; no lawn and low maintenance were key requirements. 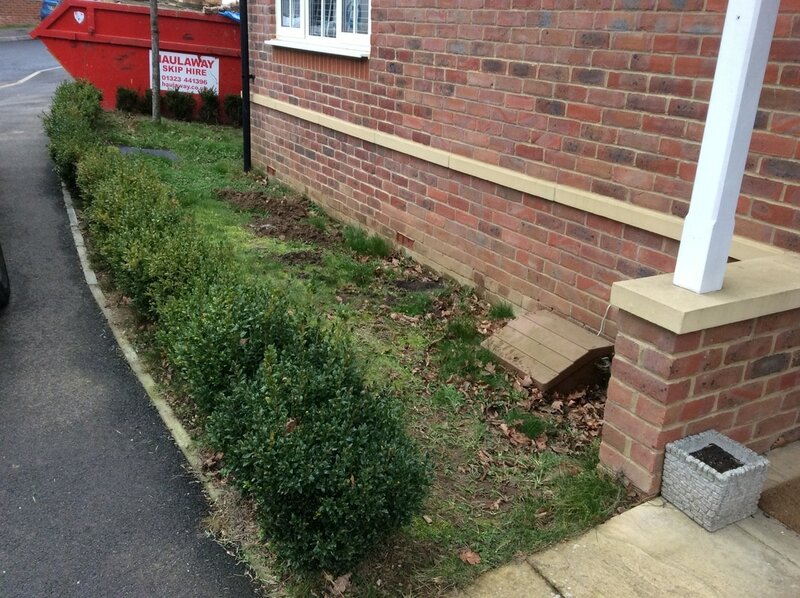 We were also asked to provide greater kerb appeal and to soften the front of this new-build house. 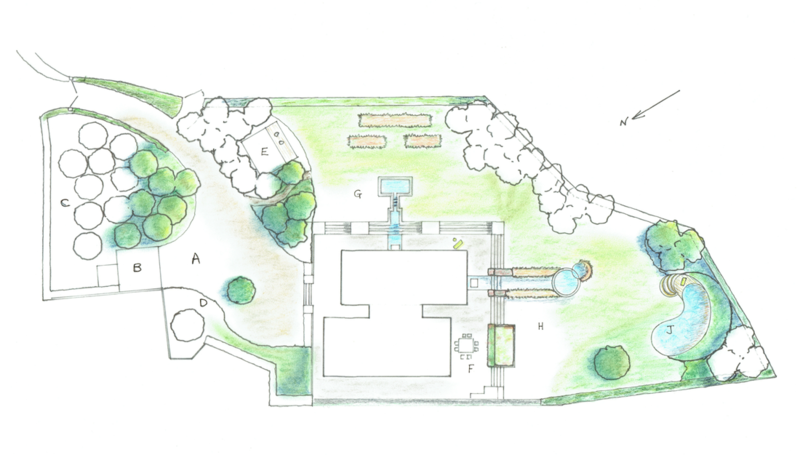 Design Brief: Working with the architect, to create a family garden with formal gardens, productive areas and wild natural areas and, in particular a natural swimming pond. To provide shelter from the elements on this windswept site and privacy from the road and neighbours and to use materials sympathetic to the rural Sussex context. Design Brief: To design a garden for a new-build Huf-Haus which was to replace an existing house in the centre of a very flat, exposed site. The client wished to maintain the connection to the heathland landscape and views to the golf course beyond the garden, whilst creating privacy and protection from the busy road to the front of the property. They also wished for ample space to entertain. 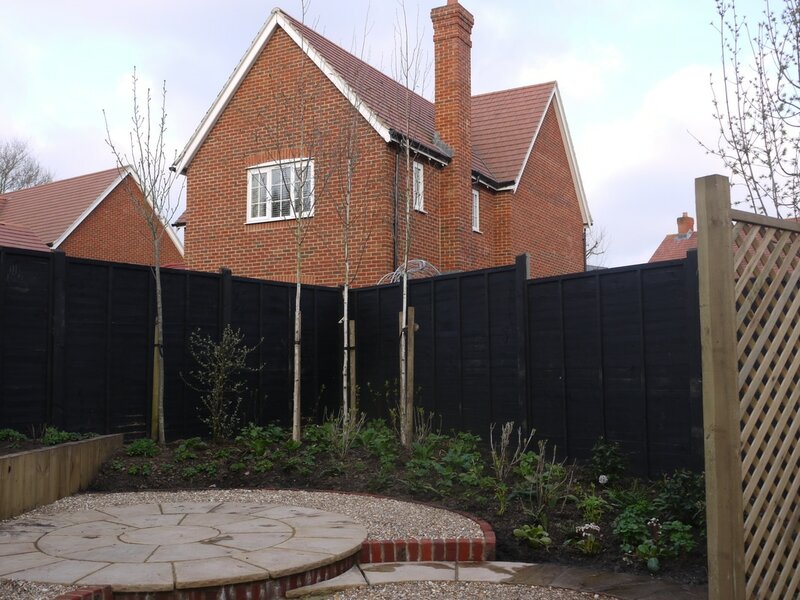 Design Brief: To transform a long narrow and featureless space into a family garden which catered for the adults with intimate entertaining spaces but also including a den and trampoline for the children, without allowing the latter to dominate. ​To allow the interior reception rooms to flow onto the terrace and on into the garden without obvious barriers, and to provide privacy from the neighbours. (Plans to follow). Design Brief: To assess this very bare site and advise regarding a layout sympathetic to the surrounding countryside and to provide planting ideas, with rudimentary drawings for the client to work on over time.